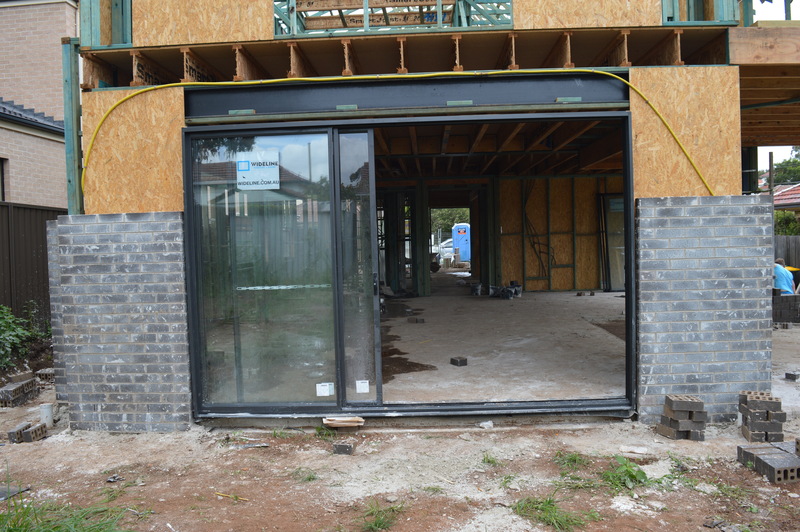 After a flying start with the wall and roof frame being completed in super quick time, we had a week of playing the waiting game for bricklayers to start on our house. Apparently there is a shortage of bricklayers in Sydney and we have to wait our turn in the queue! In the scheme of things, a week of idle time is not a big deal but when it’s your dream house on the line it’s still a frustrating exercise. 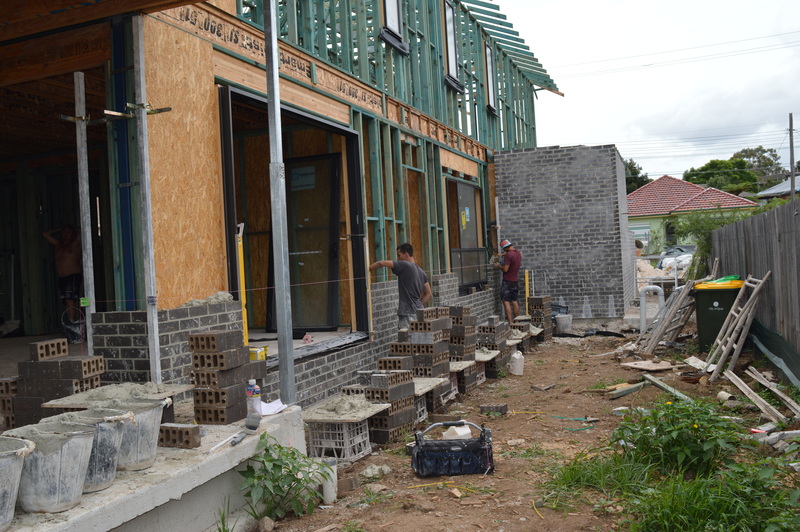 Anyhoo, our team of brickies showed up to work on Tuesday (17/2) and by noon on Friday (20/2) they have almost finished bricking the ground floor. 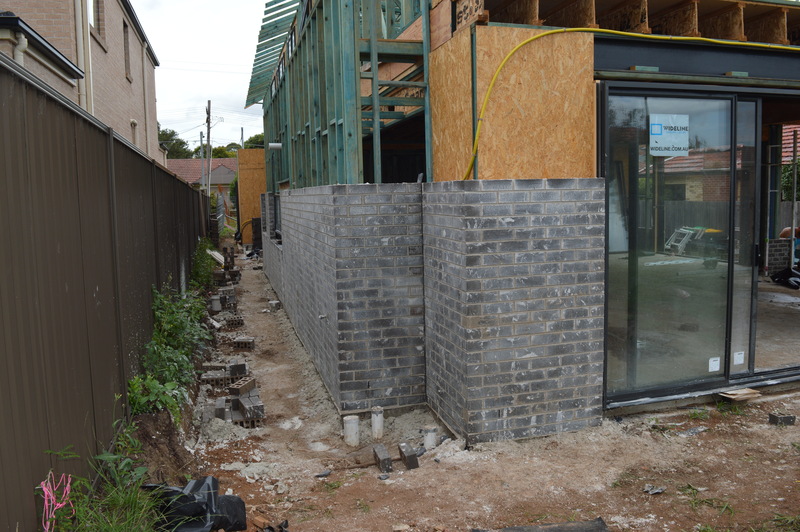 The scaffolding is booked to be erected on Monday (23/2) and brickwork to the second floor scheduled to be completed by the end of next week. Woohoo! Here are a few snaps I took yesterday. Progress at last! I can imagine how frustrating the wait must be, but it’s coming along nicely. Yay for progress! It’s looking more and more like a house. 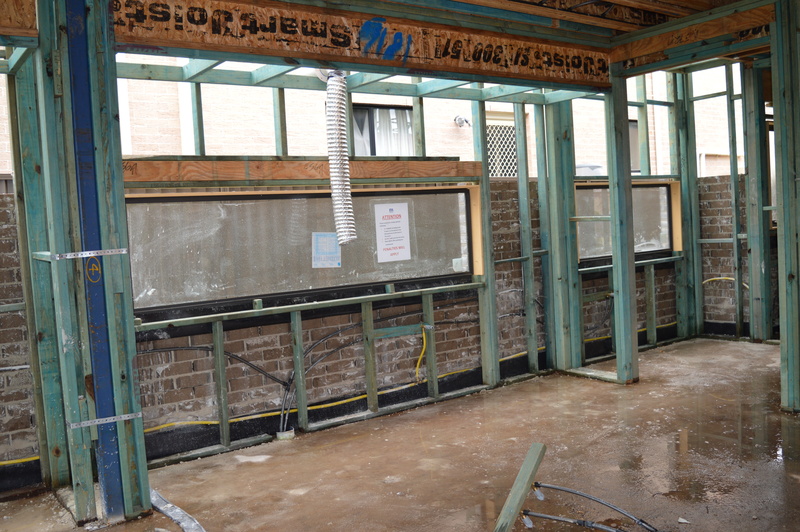 It is very frustrating waiting for things to happen but it looks like your place is progressing along very well. I totally understand as I seem to spend a lot of time moaning about delays. Looking good now so imagine once they’ve been cleaned! Are you saving bricks for your letterbox or have you other plans for it? We plan to have modular front fence with built in letter box so we’ll probaby use any leftover bricks as planter boxes. Btw I read on H1 that you were going to the Pool and Spa expo. Any good? Yes the pool & spa expo was great we got a lot out of it. Just testing the water at this stage ( he, he excuse the pun) but we got loads of info. I think I managed to convince my hubby that we really need a proper landscape design to encompass pool and garden for that resort feel rather than the CDC plan. Popped into the Metricon Riva 37 show home on Sunday to look at the master bed head again which we have incorporated and at their pool alfresco combo which gave me the initial idea for our home. Thought of you but there was no Hudson. Shame I couldnt convince hubby and the kids to go to the expo😢 They always seem to charge a fortune for food & drinks at these events. I’m regretting not organising the pool before construction started. It’s going to be a pain with side access restricted and I’m sure they will now charge extra for site costs. We got a quote from Xzibit and I read somewhere that he has a partnership with Wisdom Homes. Hmm not sure about the partnership. When we first started looking at Wisdom back in the mists of time … I thought it was with Narellan pools. Didn’t Xzibit work for Resort Pools and then set up on his own? I remember following poor Onewheel’s pool build. It all looks huge! 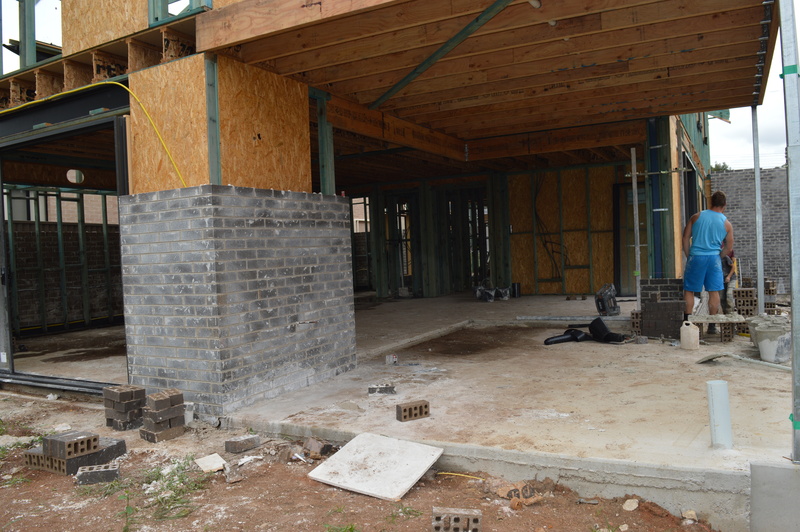 Our second floor bricks are going up at the same time as yours. I’m told ours will take 2 weeks. Got a feeling it’s just one brickie. 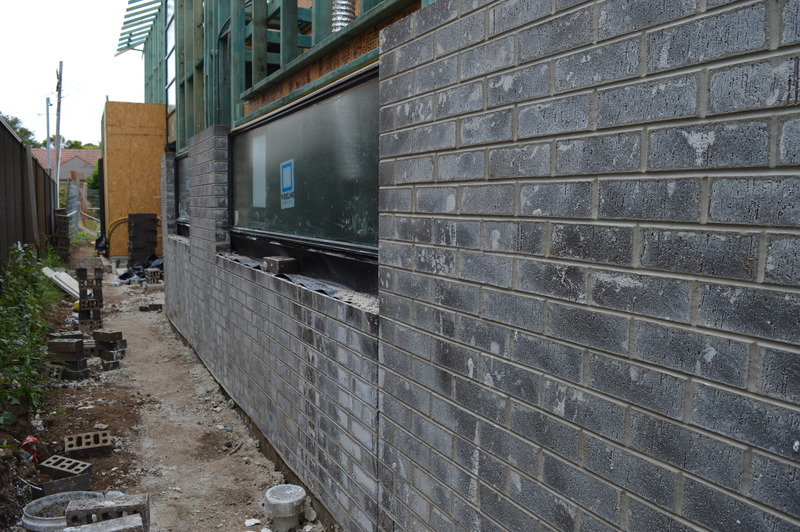 The bricks look great! That’s a well crafted iron joint. Wish we get those brick layers or close to them for our build. Thanks Abby. The workmanship looks top notch and we are stoked! Are you building with Metricon? Hi Sheilzy. Yes we will be. Awaiting for land to register. We’ve chosen a Glendale38. Wow another Glendale. It seems to be a very popular design😄 Good luck and hope your land registers on time. Thank you. I hope really hope so. 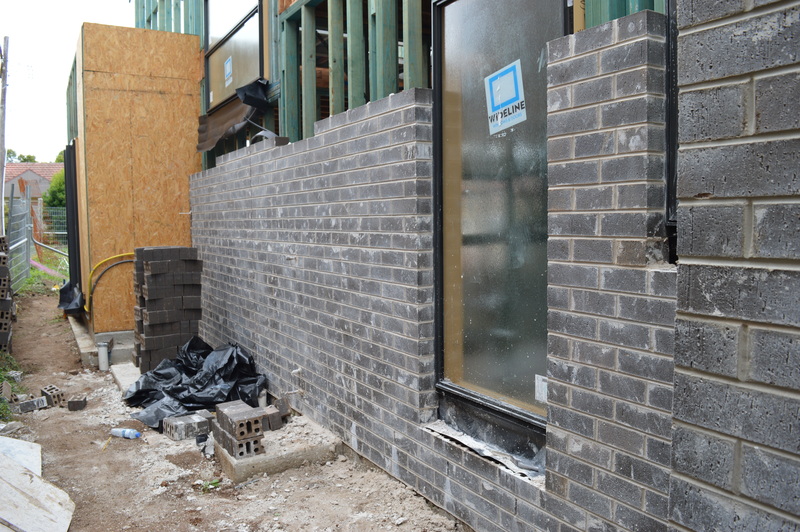 We’ve also chosen the Orpheus brick as our bricks. It was that or the Blackbutt brick. The quality of the Orpheus looks way better. Yes the Glendale is becoming a popular build. The price and design compared to some of the designers makes it a good build. 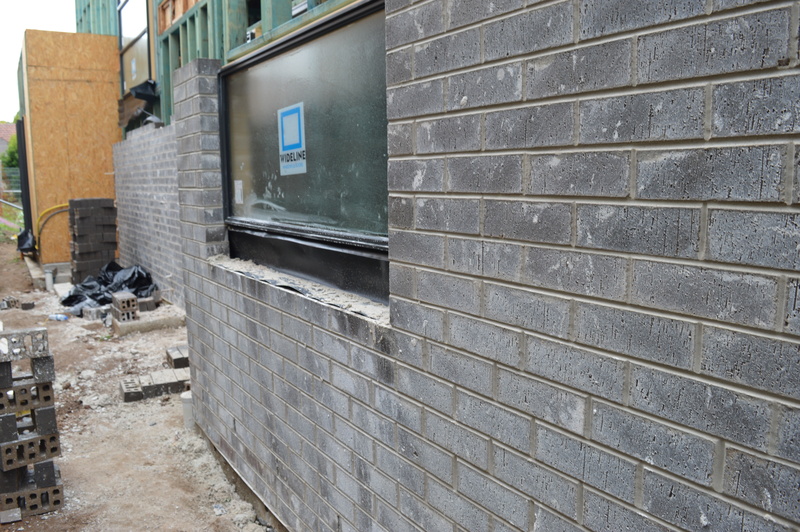 The bricks look great! I have to say that I’m extra interested in your bricks as we are having the same ones for our place. Can’t wait to see it all completed & cleaned! Good luck with the slab pour tomorrow Cherri. It’s such an exciting time!